Tired of headaches trying to make a trimless door-frame – Invisibledoors® is the answer. 1: Will the plaster crack up when you shut the door too hard? A: No, it will not if it is installed in accordance with the installation instructions. 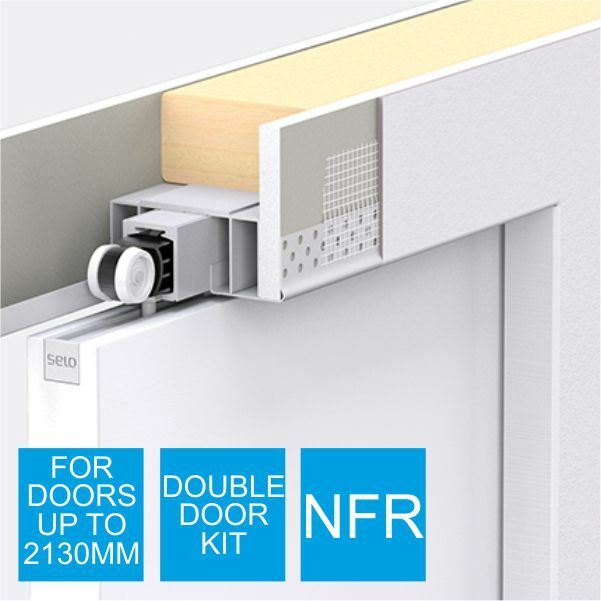 The reason why the plaster does not crack is that Invisibledoors® is screwed every 200mm (8’’) all the way around the door frame which makes it an integral part of the wall. Testing has been conducted to prove this. 2: What is the minimum & maximum wall thickness? 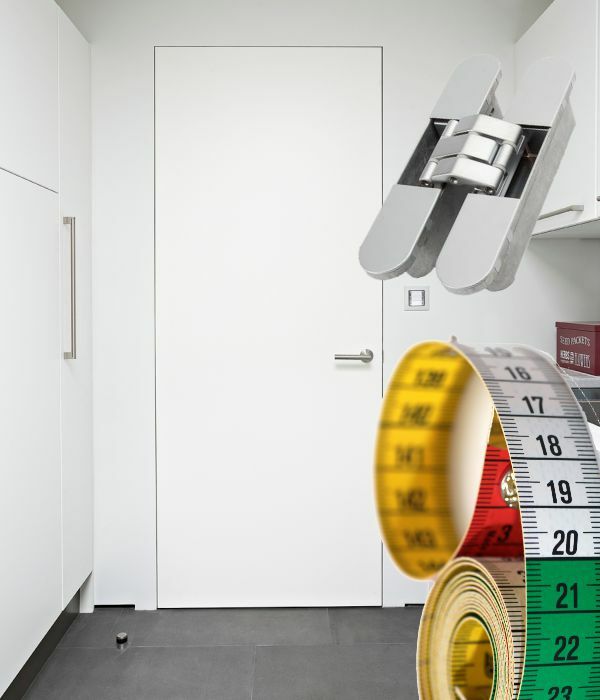 A: The minimum wall thickness with Invisibledoors® is 85mm (3-3/8’’) and the maximum is 225mm (8-3/4’’). 3: What width and height can be used? 4: What is Invisibledoors® made from? A: Invisibledoors® is made from cold rolled galvaneal product which is galvanised steel that has been through an annealing process so it can be painted. 5: How do you paint Invisibledoors®? A: Invisibledoors® just needs a metal primer and can be painted with the paint of your choice. It is also available in a powder coated finish. 6: Are the hinges on Invisibledoors® rebated in? A: The hinges on Invisibledoors® are not rebated into our frame, because Invisibledoors® has a clean line down the edge of the frame that you plaster up to. If we rebate into that line we lose the clean line look. Invisibledoors.co.uk supplies a unique, high quality stainless steel ball bearing hinge (other finishes are available) that can be surface applied to keep the clean line look. 7: Can Invisibledoors® be punched for a strike plate? A: Yes Invisibledoors® is punched out for the strike plate as standard. A stainless steel striker plate and plastic insert is included in the price of a door frame. 8: How do the top corners join? A: The corners of EZY-JAMB join together with an alignment insert which is already installed in the frame. 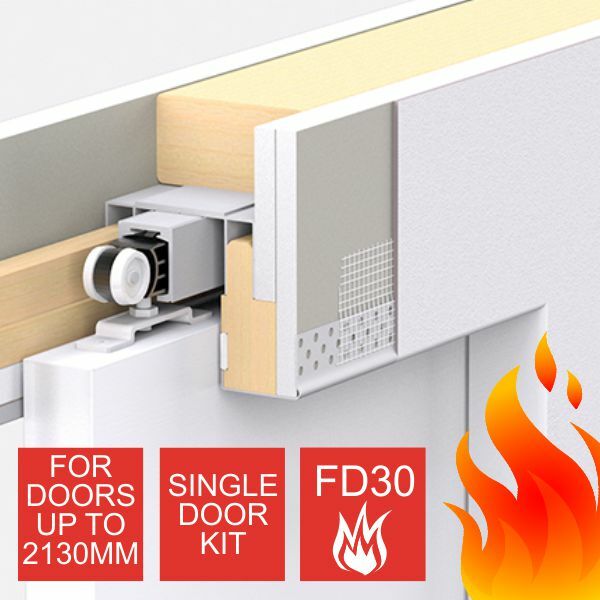 9: Is Invisibledoors® fire rated? A: Invisibledoors® is fire rated to BS:Part22:1987 for 30 minutes.